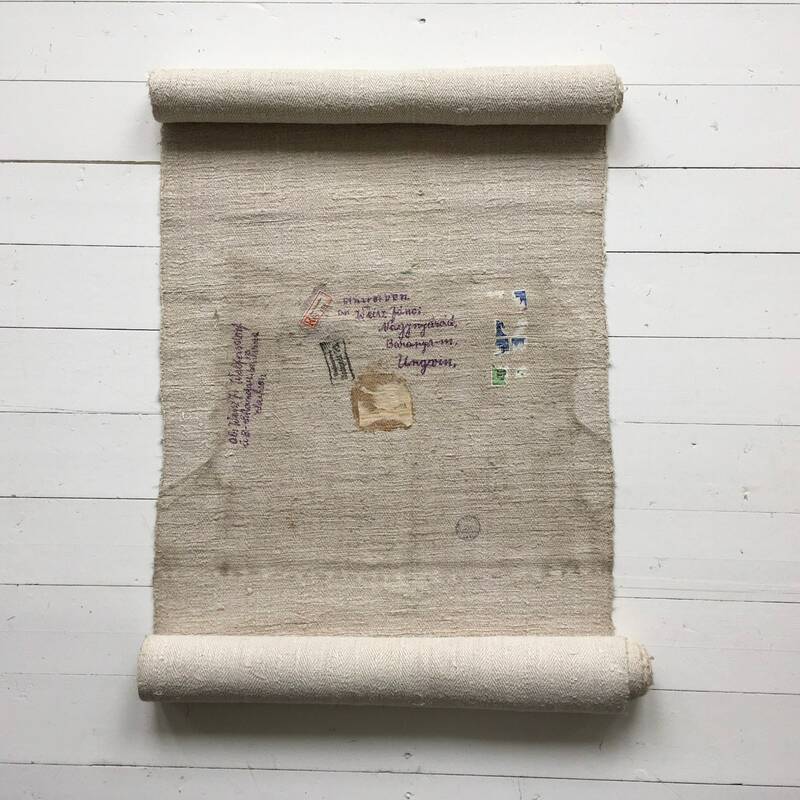 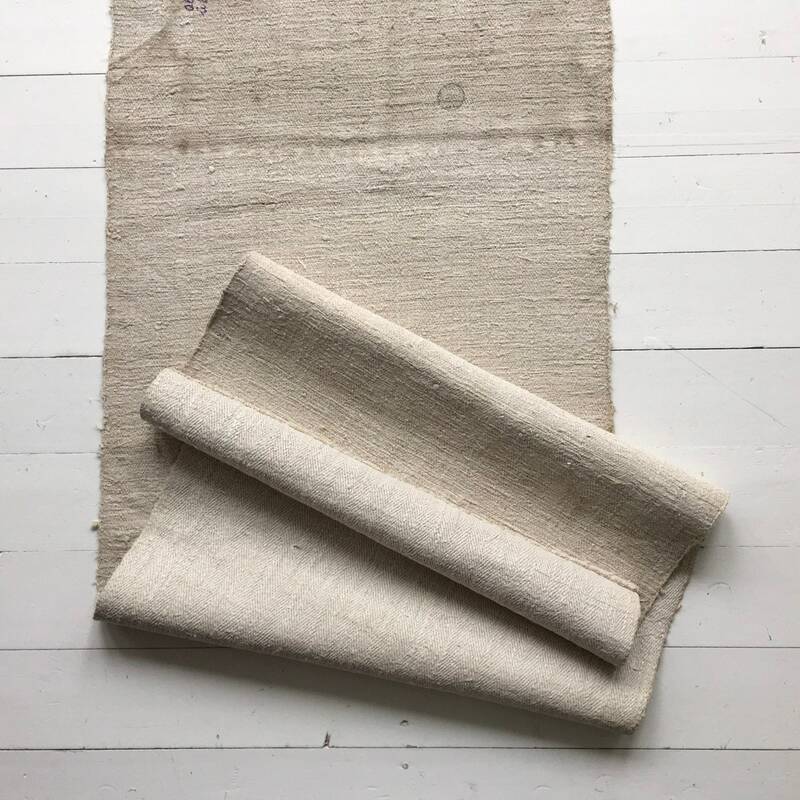 This vintage linen grainsack fabric has been handspun and homespun pre 1940, it is very durable, with hand stitched seams, the fabric has a wonderful texture to touch. 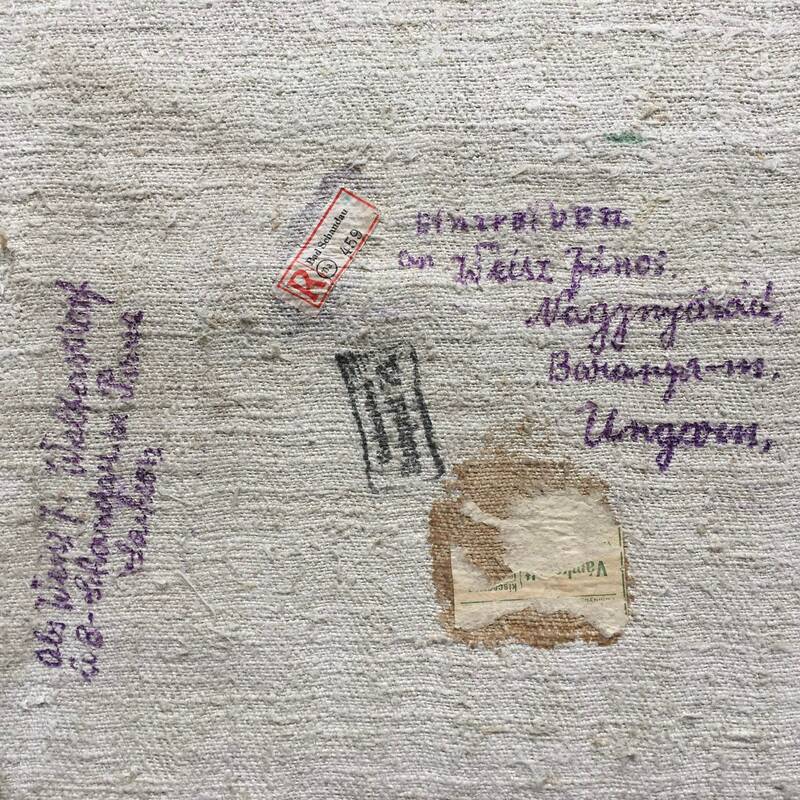 This linen was used by a family of Hungarians who became refugees of the second world war, taking refuge in Germany. 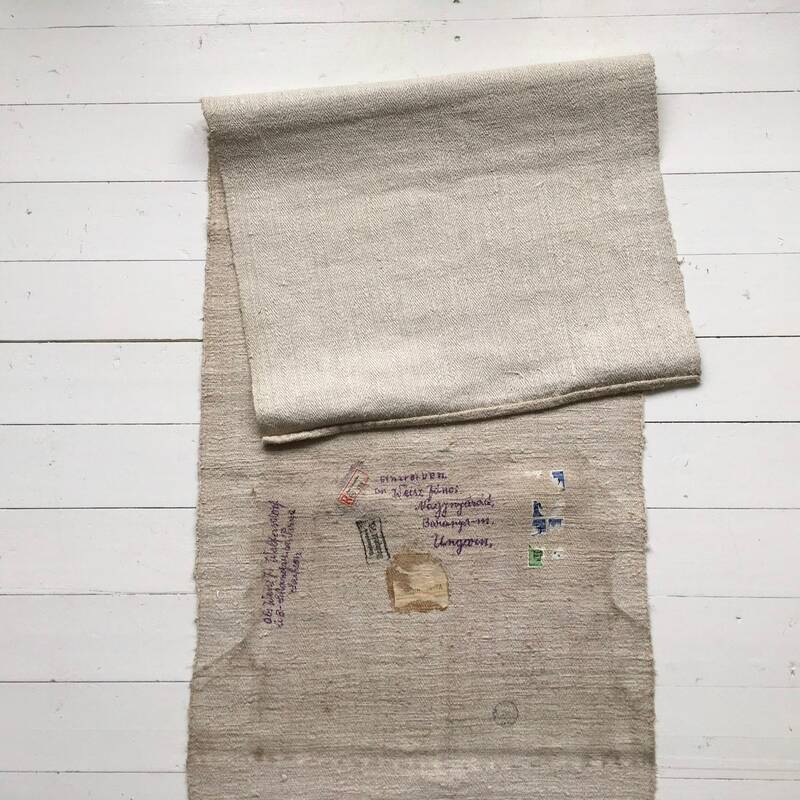 Once it was safe for them to return, they sent ahead some of their possessions wrapped in linen sacks, these still bear the hand written address and postage stamps. 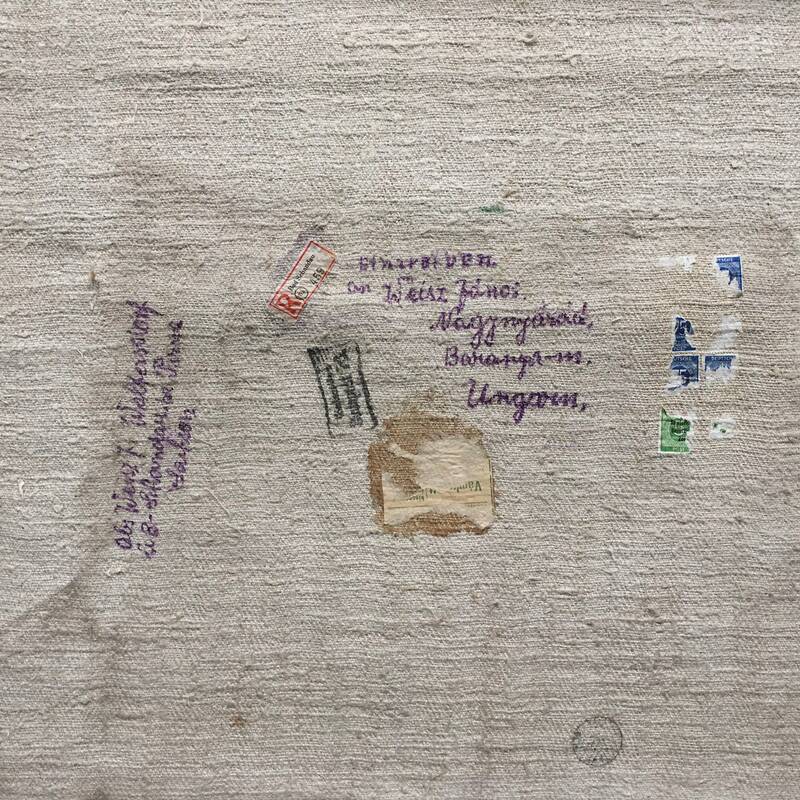 Many then walked back hundred of miles to find people living in their homes, to then have to find somewhere else to live. 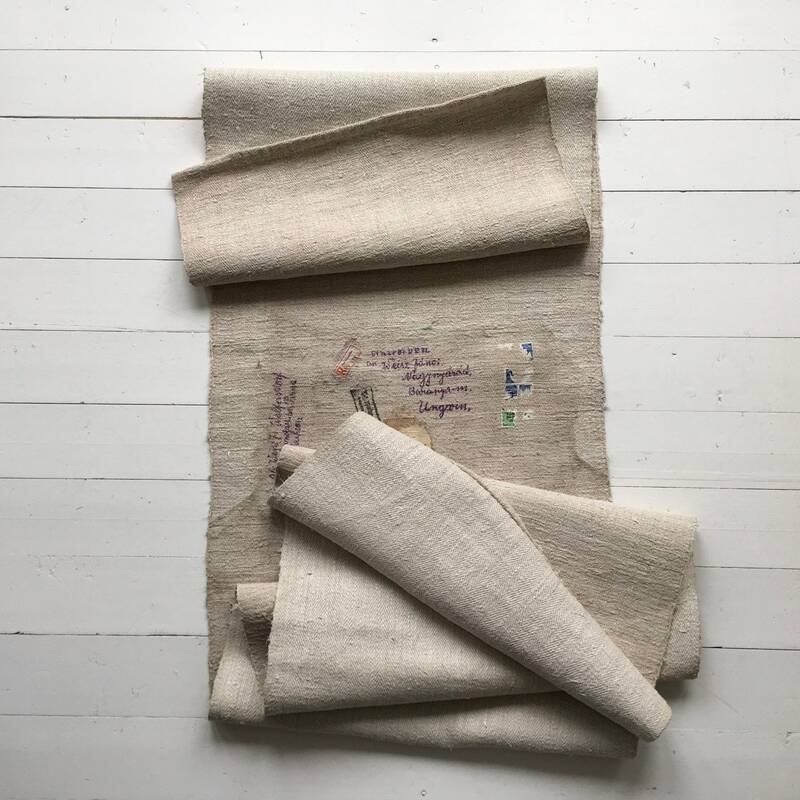 This sack holds so much history and if it could talk, would tell amazing stories of human determination to survive. 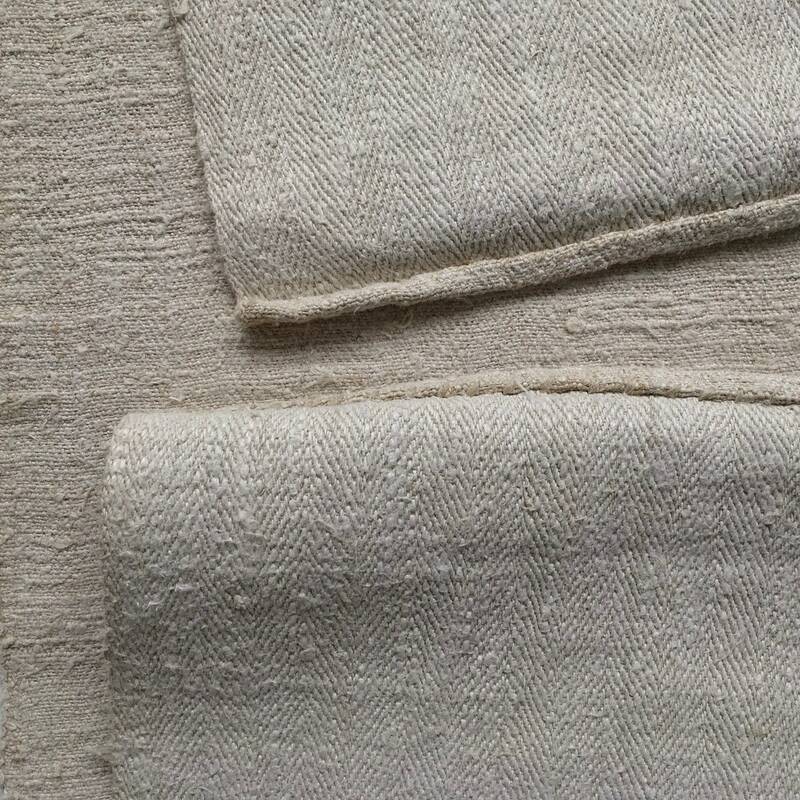 Mid-weight vintage Hungarian linen, this grainsack does have dirt marks. 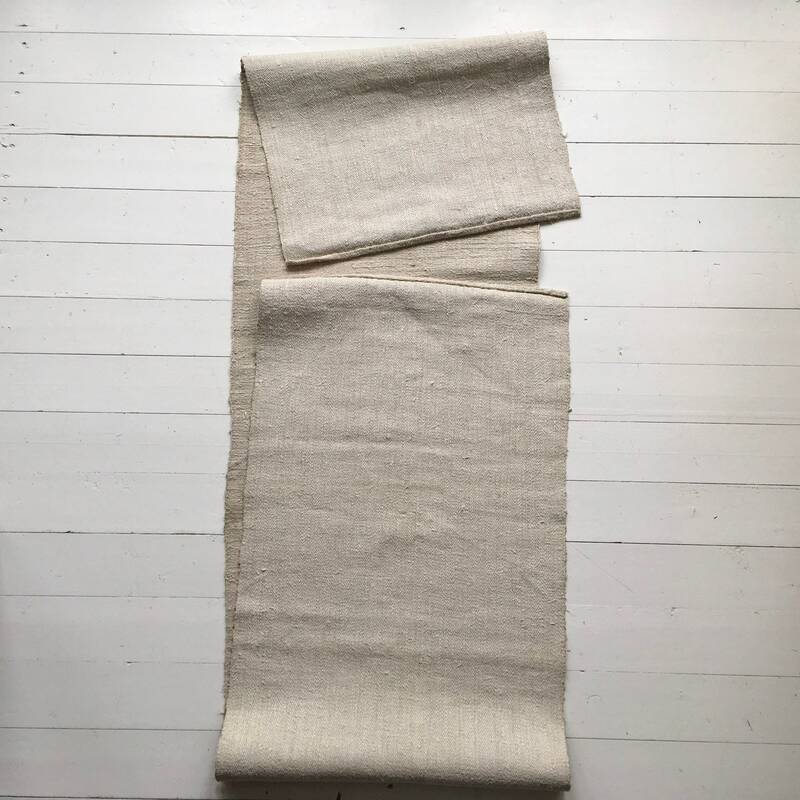 Use this fabric as a wall hanging or to be framed.